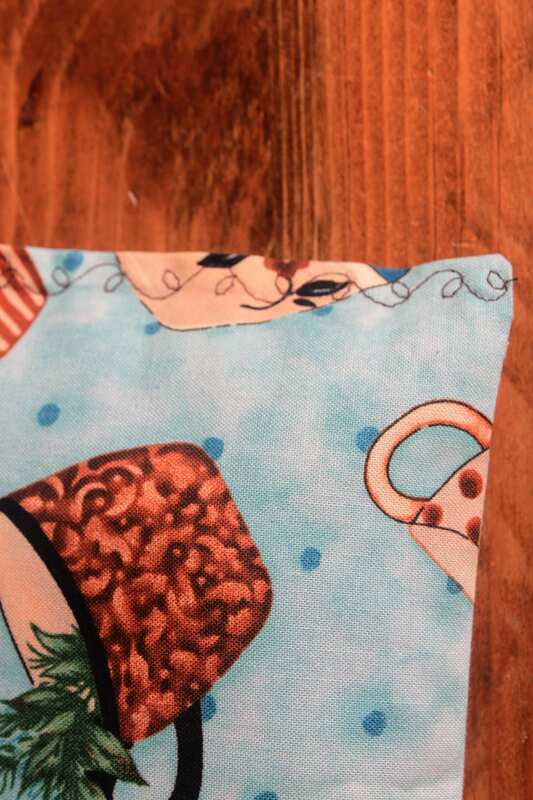 100% cotton fabric coffee lover themed rice bags are great for all kinds of things. If you've never tried a hot/cold pack you're in for a treat. 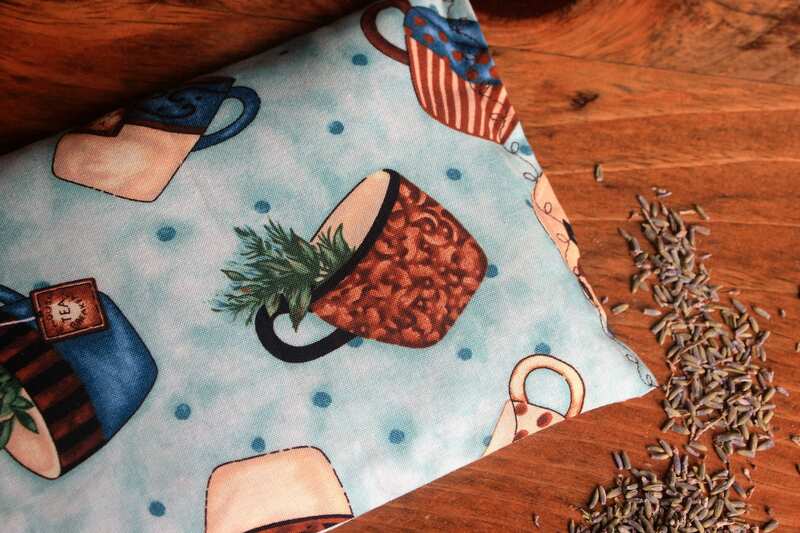 You can store these bags in the freezer and use them for headaches or injury or just plain cooling off. Or you can put them in the microwave for a minute or two and use the heat to relieve muscle tension, or my favorite, sitting with them on a cold day. Better yet, warm up or cool off your bed before you get in! 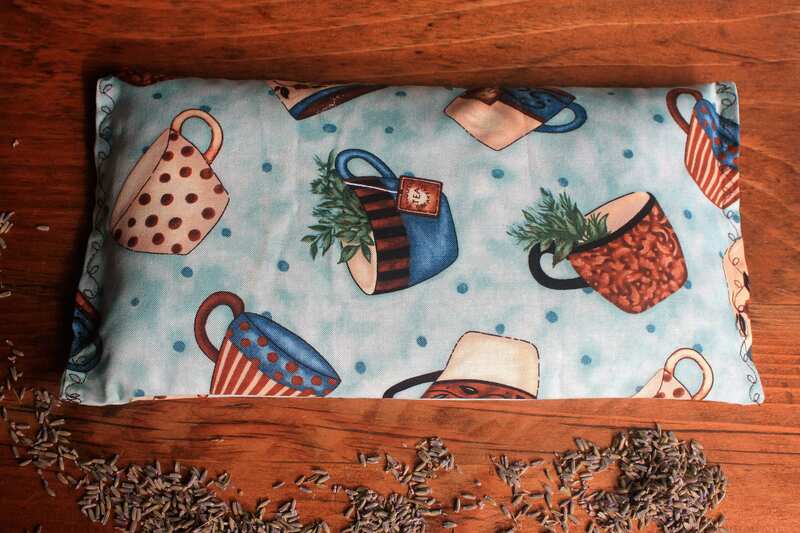 The bags are 12"x6" and are filled with rice, barley and your choice of lavender or peppermint and lavender.